Behind the Scenes at York Hospital with Starting Blocks! Our Starting Blocks programme aims to help equip care experienced young people with the practical skills, knowledge, attributes and behaviours that they need to secure employment and improve their life chances. This can be in the form of ‘Behind the Scenes’ visits, skills workshops or flexible work placements. One of the recent ‘Behind the Scenes’ visits that we were able to offer to a group of looked after young people was to York Teaching Hospital. 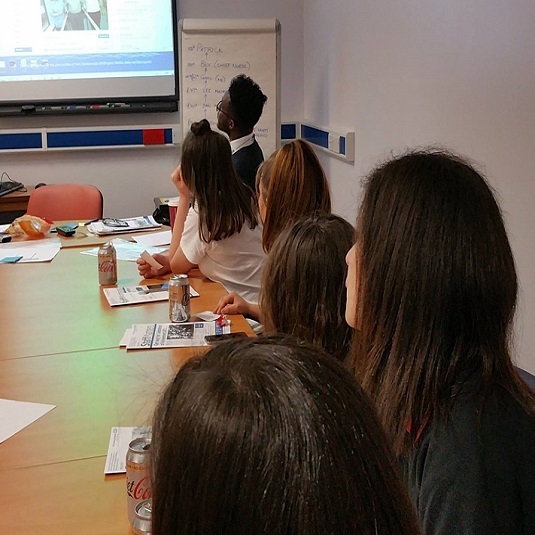 This provided the young people the opportunity to really see the hospital from the perspective of its employees and learn about several different areas of the hospital and what the different job roles are like. As well as really seeing behind the scenes of one of York’s largest employers and speaking to a range of employees from across the organisation about their roles, the young people were able to take part in an interactive activity. This was delivered in the Clinical Skills lab where the young people learnt about CPR and how to give good CPR before trying out their techniques on interactive dummies! As a result of the event, employees from York Hospital offered to support any of the young people who were interested in a career within the NHS through a mentoring relationship. This is a fantastic opportunity for the young people to learn more about their dream roles. The feedback from the young people at the end of the day showed that they had thoroughly enjoyed the day and really got a lot out of being able to hear from different employees about their different roles. A few young people have already asked to be put in touch with employees showing their interest in working in the health sector in the future. If you are interested in getting involved with our Starting Blocks programme, please contact Georgia at info@yorkcares.co.uk or on 01904 322499.